This list is for Senior 1 and 2 students that are new to the school. Returning students only need to top up missing items. PARENTS, Please ensure that you label everything. 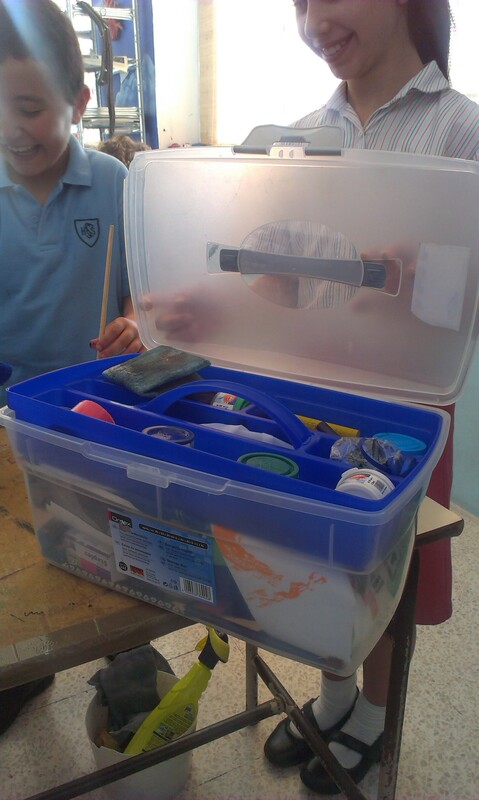 All materials should fit into a sturdy box (One your child can carry, 11 litre capacity is perfect). Sketchbooks and display files will live on the class shelf in the art room so they do not need to fit in the box too. About the contour line which it has to be rubbed out,because I out lined the crussifics. Do I have to stat again or leave it as it is. A watercolour pad works with water and Aquarelle means to do with water! Sometimes it is just the name in another language to tell you it’s watercolour paper, other times, it means it is specifically for working with the Aquarelle colouring pencils. This last kind of paper doesn’t hold paint very well if you want to use anything else other than Aquarelle crayons so make sure you ask if it is specifically for Aquarelle work or for any kind of water based paint. It will make a difference to your painting if the paper wrinkles or the surface gets lumpy. Hope that helps? Aleyna, what programme are you talking about? Microsoft Paint? You don’t have to do anything on the computer for homework…..you are just designing in pencil right? 3 ideas in your sketchbook? Nice to meet you! I just want to let you know that I went to San Gwann today to buy all the stuff Magnus needs for his art class but it turns out that Grafarts are closed on Wednesdays. I tried to find their website to check their opening hours before I left but they don’t seem to have one. I only found their phone number and called them. No answer. I tend to recommend people use the shop in Mosta called Hobby world, mostly because she knows the stock I use and if she doesn’t have the stock she would know what to substitute it with. She is also the best priced too 🙂 Good luck….